If you can’t quite get your day started without a steaming cup of joe, you’re not alone. Research indicates that more Americans are drinking at least one cup of coffee a day — some 67% of us, in fact. That’s up from 62% a year ago, and is the highest percentage of java junkies since 2012. The benefits of coffee are pretty well known. Not only does it taste delicious, but it also offers us a nearly instant boost of energy. Many people rely on a steady stream of the stuff to get them through their daily tasks, as well. Beyond that, you might not be aware of what coffee does to your body. Join us as we take a look at America’s favorite morning brew! Believe it or not, coffee has been linked to lowered risks of developing diseases, including cancer, cardiovascular issues, and diabetes. 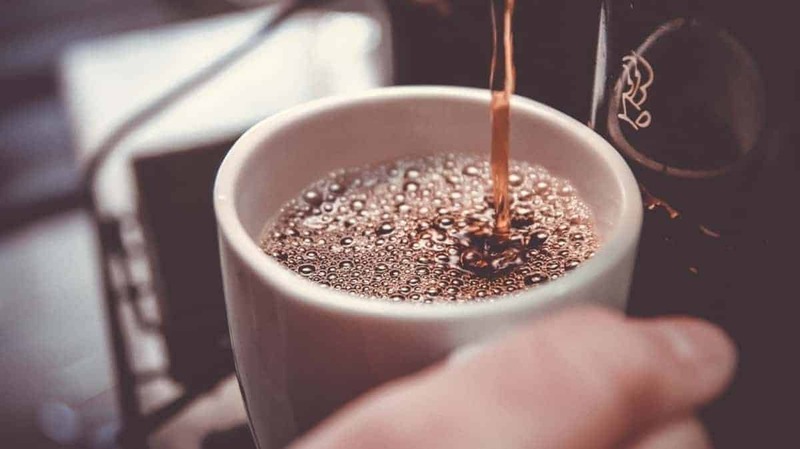 Last year, two studies published in the Annals of Internal Medicine discovered that those who drank any kind of coffee, including decaffeinated, were less likely to die an early death. Researchers from the National Cancer Institute, the University of Southern California, and the University of Hawaii looked at over 180,000 Americans. The findings? Individuals who drank upwards of two cups of coffee daily were 18% less likely to die than their non-coffee-consuming counterparts. The risk of heart disease, kidney disease, cancer and having a stroke were all lowered. Another study, this one involving 500,000 European people in 10 different countries, had a similar outcome. People who drank the most coffee demonstrated a lower rate of early death — even when factoring in variables such as smoking habits and family history. In some ways, we are only just discovering the extent of what coffee does to your body. Of course, it’s necessary to look at the total picture, not just pick and choose the research that makes coffee look like a miracle drug. After all, while it is definitely a pick-me-up, it’s not a panacea. What are some of the drawbacks associated with that daily latte habit? Well, for starters, caffeine is notorious for being a double-edged sword. If you’re sensitive to it, if you continue to consume coffee into the afternoon and evening, or even if the barista accidentally adds two extra shots of espresso instead of one, you’ll feel the effects for hours on end. You may have trouble sleeping. Your heart may race. You could feel jittery or nervous. The half-life of coffee, it turns out, is about five or six hours. That means you’ll still be feeling about the effects of that 4 p.m. coffee break at 10 p.m., just as you’re getting ready to turn in for the night. Another adverse effect is that coffee contributes to stomach acid. This is bad news for anyone who’s already prone to heartburn, acid reflux, or stomach ulcers. Additionally, high doses of caffeine have been linked to anxiety and panic attacks. Drinking a cup of coffee can also stimulate hormonal responses, such as a surge in adrenaline. It can cause the heart rate to spike and may have an adverse effect on some people’s blood pressure. Others, however, show no issues with high blood pressure or heart rate. So the jury is still out on that one. And you know your body best; if that fourth or fifth cup sets your nerves to jangling, it’s time to curtail your coffee intake. Do you regularly depend on coffee to wake you up in the morning, or to keep you going through an afternoon slump? If so, it should come as no surprise to learn that you are addicted to caffeine. Certainly, of all the addictions that are out there, coffee is one of the most benign. Nevertheless, it’s important to understand just what that cycle of addiction is doing to your body. Some researchers have posited that the perceived benefits of coffee aren’t as beneficial as they might seem. When people experience, say, a boost of energy and attentiveness after a cup of coffee, what they are actually feeling is the short-term relief from caffeine withdrawal symptoms. If you are concerned about being addicted to coffee or other caffeinated beverages, experts say to dial back your consumption gradually. Replace regular high-test brew with half- or all decaf. Or skip a cup or two each day instead. It’s never a bad idea to do your own research and get more info, as well, so you can make an informed decision. Lastly, don’t reach for your mug first thing upon waking. Instead, wait about an hour before you have your coffee. That can help maximize its energy-lifting properties, and make you a little less likely to go through withdrawal each morning. It sometimes seems that science doesn’t know what to make of everyday substances in our food and drink, like caffeine. One day the news is good, telling us that coffee can help us live longer. The next day, we learn that it’s actually not so hot. What’s the takeaway from all these studies and research that examine what coffee does to your body? It all boils down to moderation, experts tell us. If you enjoy coffee and find that it benefits you, then, by all means, enjoy a few cups. Just make sure not to overdo it, or to indulge too late in the day. For more informative, useful health tips, bookmark our blog and check back often for new content!